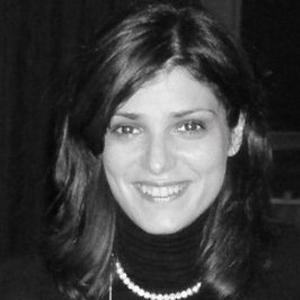 Eleni I. Vlahogianni is an Assistant Professor at the Department of Transportation Planning and Engineering of the National Technical University of Athens. She hold a diploma in Civil Engineering and a Ph.D. from the National Technical University of Athens, Greece (NTUA) (specializing in Traffic Operations). She was a Visiting Scholar at the Institute of Transportation Studies of the University of California, Berkeley (US) working on the development of an Arterial Performance Measure System (APeMS). Her primary research field is traffic flow analysis, modeling and forecasting. Other research fields include mobility modeling, driving analytics, ICT applications to transportation, Intelligent Transportation Systems, traffic management, advanced technologies for monitoring transportation infrastructures. She has a strong algorithmic background, which includes nonlinear dynamics, applied statistical modeling, data mining and machine learning techniques and computational intelligence. Her professional and research experience includes projects and consultancies, in a national and European level focusing on urban mobility and traffic flow management, public transport and traffic safety. Moreover, she is an author of more than 50 articles in international peer reviewed journals and more than 60 publications in international conference proceedings with over 2000 citations. She serves as Reviewer in 58 journals including Chaos, Solitons & Fractals, Physica D, European Physical Journal, Transportation Research Part Α, Β and C, ΙΕΕΕ Transactions οn Intelligent Transport Systems, Physica A: Statistical Mechanics and its Applications, ASCE Journal of Transportation Systems. She is Associate Editor of the Transportation Research Part C: Emerging Technologies and the International Journal of Transportation Science and Technology. She serves as a Member of the International Committee on Artificial Intelligence and Advanced Computing Applications of the Transportation Research Board.